Newton, MA—May 28, 2009—PSMJ Resources, Inc., the premier management consulting firm for the A/E/C (architecture/engineering/construction) industries, today published the 2009 PSMJ Circle of Excellence. The PSMJ Circle of Excellence is determined by weighting each firm’s ranking in the overall PSMJ A/E Financial Performance Survey with respect to thirteen individual benchmarks. These benchmarks are indicative of performance in the various aspects of business operations, including cash flow, overhead control, business development, project performance, staff utilization, and overall profitability. “The PSMJ Circle of Excellence is not determined by firm revenue, profitability, or sheer size – nor is it determined by any subjective criteria. The thirteen benchmarks that determine the PSMJ Circle of Excellence were chosen to reflect that the firms are well-managed, have a strong client base, and are led in a responsible and sustainable manner. PSMJ believes that clients prefer to work with well-run firms because they are more likely to provide superior service and value,” explains H.E. “Dan” Daniels, PSMJ’s survey editor. The 2009 PSMJ Circle of Excellence reflects the performance of 44 participating design firms, 38 of which have agreed thus far to have their names published. 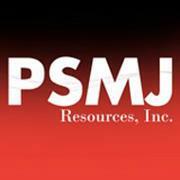 In addition to publishing the PSMJ Circle of Excellence, PSMJ Resources Inc. will hold its third conference highlighting the business practices of these outstanding firms in March 2010 and will feature as speakers the leaders in PSMJ Circle of Excellence firms. Now in its 29th edition, the 2009 PSMJ A/E Financial Performance Survey includes data from 217 A/E firms in the United States and Canada. The Survey provides detailed data and analysis on operating profits, overhead rates, utilization, financial ratios, marketing costs and much more. The American Institute of Architects' Architecture Billings Index held its ground in April after an eight-point jump in March while new project inquiries continued to grow. The AIA reported the April ABI rating was 42.8, down from the 43.7 mark in March. This was the first time since August and September 2008 that the index was above 40 for consecutive months, but the score still indicates an overall decline in demand for design services (any score above 50 indicates an increase in billings). Meanwhile, the new projects inquiry score was 56.8. "The most encouraging part of this news is that this is the second month with very strong inquiries for new projects. A growing number of architecture firms report potential projects arising from federal stimulus funds," said AIA Chief Economist Kermit Baker. "Still, too many architects are continuing to report difficult conditions to feel confident that the economic landscape for the construction industry will improve very quickly. What these figures mean is that we could be seeing things turn around over a period of several months." In fact, Baker's comments about the construction industry's economic landscape not improving very quickly mirror comments made earlier this week by Associated General Contractors of America Chief Economist Ken Simonson. Simonson expects the recession will affect the construction industry until at least 2010, saying that the government must repair the credit system and housing market for the economy to recover. Simonson's comments about the credit system needing repair echo those made today by PSMJ CEO and founder Frank Stasiowski, who predicts this recession will lead to mortgage interest rates of around 10 percent and credit card interest rates around 25 percent. But, as for the April ABI highlights, it breaks down by sector as follows: mixed practice (44.2, up from 44.0 in March), institutional (43.2, up from 42.9 in March), multi-family residential (43.2, up sharply from 39.4 in March, 33.3 in February and 29.5 in January), and commercial/industrial (41.7, up sharply from 35.0 in March and 32.0 in February). Regionally, the ABI breaks down thusly: Northeast (47.1, continuing an ongoing upturn from 41.8 in March, 32.3 in February and 29.8 in January), South (45.0, up from 43.4 in March, 35.5 in February and 34.4 in January), Midwest (40.1, up from 37.5 in March and 35.0 in February), and West (39.2, up from 36.1 in March). At this point, it appears as though smaller firms have already made their cost-cutting moves and are positioning themselves for the economic upturn that many industry watchers, including PSMJ consultants, say is coming soon. It also appears, from seeing the quarterly results posted by the publicly held AEC firms, that the larger firms who were cushioned by their larger backlog, are now dipping into that backlog and making their cost-cutting moves. We have heard anecdotal evidence of firms such as CH2M Hill, HDR, and other well-known firms having to lay people off in the last month or two. Where does your firm stand? Let us know. As further provided by the SMPS Bylaws, in the absence of a nomination for any of the open positions on the Board by the petition process, the above slate of candidates selected by the Nominations and Elections Committee is elected by acclamation for the offices and terms specified above. The Nominations and Elections Committee also solicited candidates for the open seats on the Board of Trustees of the SMPS Foundation. The SMPS National Board of Directors selected Incoming President-Elect Carolyn Ferguson, FSMPS, CPSM, to serve as SMPS Board Liaison to the Foundation in 2009–2010.